If age or sun damage has left you with fine lines and wrinkles, microneedling offers a minimally invasive technique to plump and smooth your skin. 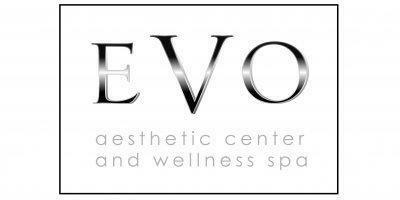 At EVO Aesthetic Center and Wellness Spa, the team of certified aestheticians offer microneedling for the men and women of Lakeway, Texas and the surrounding communities. Call or book an appointment online to learn more. Microneedling uses tiny sterile needles to pierce your skin, creating hundreds of micro-injuries across its surface. Also called collagen induction therapy, microneedling promotes your body’s natural healing processes to reduce the signs of aging and improve the appearance of your skin. As the tiny needles puncture the top layer of your skin, the resulting wounds activate your immune system and blood flow increases to the micro-injury sites. Your body begins to build new tissue, which stimulates the production of collagen and elastin, two major proteins that give your skin its structure, volume, and elasticity. The microneedling process plumps the skin for a rejuvenated appearance. What conditions can microneedling improve? Microneedling can be performed on almost any area of the body. It also increases skin absorption, improving the effectiveness of many skin care products. What can you expect from a microneedling procedure? Although microneedling is nearly painless, your certified EVO practitioner first applies a numbing cream to relieve any possible discomfort. Then, they roll the needles over the surface of your skin to create micro-injuries and stimulate the healing process. Each microneedling session usually takes 20-30 minutes and requires no downtime. You will experience some redness in the treatment area for the next 2-3 days, but it should resolve on its own as the skin heals. Your skin may also feel warm, tight, or itchy, but this should subside within 48 hours. You can typically expect to see results within a week or two, and you can receive repeat treatments every 4-6 weeks to optimize your results. Platelet-rich plasma (PRP) therapy uses platelets from the blood that stimulate intensive wound healing. When injected into the treatment area, the platelets can expedite the body's repair processes which stimulate the production of elastin and collagen. The platelets are applied to the skin's surface after a micro-needling procedure. Clients will need 3 to 6 treatments to see ideal results which include minimized wrinkles, reduced stretch marks, and faded acne scars. If you’d like to find out whether microneedling is right for you, call EVO Aesthetic Center and Wellness Spa or book an appointment online today.